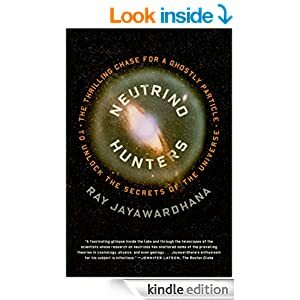 I recently read (and I recommend) Neutrino Hunters: The Thrilling Chase for a Ghostly Particle to Unlock the Secrets of the Universe, by physicist Ray Jayawardhana. Neutrinos are fascinating subatomic particles. They are so tiny and elusive that experimentalist physicists did not succeed in confirming their existence until decades after Wolfgang Pauli hypothesized them. Decades more passed until the Nobel committee recognized the discoverers (those still living, anyway, life being one requirement of the Nobel) for their discovery. Neutrinos interact so very weakly with matter that were you to direct a beam of neutrinos at a light-year of solid lead, half the particles would come out the other side! Precisely because neutrinos are so (as it were) slippery, they enable astronomers to "see" otherwise unreachable things. Even through vast dust clouds. Even deep within otherwise impenetrable massive objects like the Sun. Physicists have long thought they understood the nuclear processes that power our star, but proof of that understanding was, at best, circumstantial. 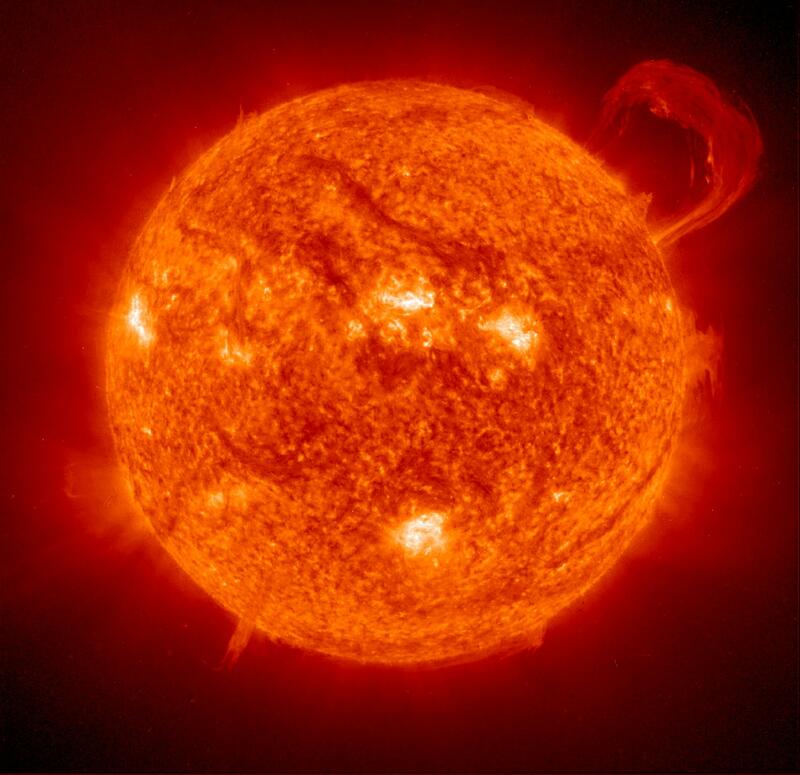 Fusion occurs only within the solar core, the action beginning at about 525 thousand kilometers beneath the surface. That makes the coming of age of neutrino astronomy terrific. From a few months back, see "Neutrinos spotted from Sun's main nuclear reaction." 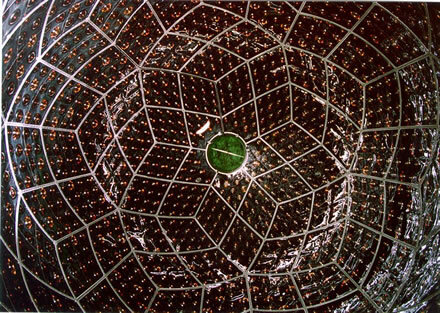 The standard solar model predicts that 60 billion neutrinos from the Sun's main nuclear reaction pass through a square centimetre on Earth each second. The Sun, of course, is but one star among myriads that's been cranking out neutrinos for billions of years. To stellar neutrinos, we must add the neutrinos produced in the early universe as matter emerged from the primordial energy of the Big Bang. And so, for a long time, some theorists hoped that neutrinos, (then) theoretically massless particles, would each have some tiny amount of mass -- enough, in aggregate, to explain dark matter. It has since been shown that while neutrinos have some slight mass (and other interesting properties, beyond the scope of this post) -- it's not nearly enough to solve the enduring puzzle of dark matter. And so, for a while longer, "dark matter" remains a label for our ignorance. 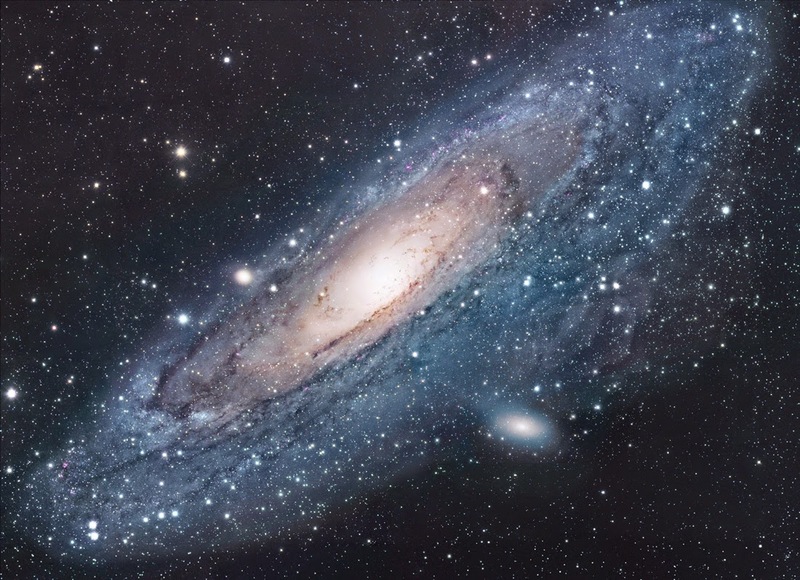 Dark matter is the theorized but unseen stuff whose gravitational influence explains such otherwise inexplicable items as the observed orbits of stars around galaxies -- the observable mass of the galaxies being insufficient. That dark matter exists, unseen, presumes we understand gravity. Dark energy, meanwhile, is a second unknown, a label for the likewise inexplicable manner in which the universe is observed over the eons to expand faster and faster, despite the inward tug of all the universe's mass (both seen and unseen). Can physics and astronomy become any weirder? Of course they can. One recent study raises the possibility, "Is dark energy eating dark matter?" While the specific nature of the interaction driving the conversion is not known, the process could be responsible for slowing the growth of galaxies and other large-scale structure in the universe across the past eight billion years. If the conversion continues at the current rate, the universe's ultimate fate as a cold, dark and empty place could come sooner than expected. Almost a year ago, astrophysicists announced they had found gravitational waves dating back to the very beginning of the universe, relics of cosmic inflation (the way-faster-than-light initial expansion of the universe). Maybe not. "Galactic dust sounds death knell for BICEP2 gravitational wave claim." That doesn't mean cosmic inflation is wrong, but it does return inflation to the fun-with-numbers stage. If your mind isn't sufficiently blown away by dark matter, dark energy, and cosmic inflation, how about some outside-the-box thinking? Rather than explain puzzling observations by hypothesizing a universe filled with undetectable dark matter and dark energy, and with the sometime ability to expand at unfathomable speeds, perhaps we can look to an improved understanding of gravity -- with a touch, perhaps, of antigravity. See: "Dwarf planet could illuminate the dark sector." A dwarf-planet candidate called UX25 and its tiny satellite could provide the first evidence of a new cosmological model that includes antigravity, say Alberto Vecchiato and Mario Gai of the Astrophysical Observatory of Turin in Italy. The model dispenses with concepts such as dark matter, dark energy and cosmic inflation, and the astronomers say that it could be tested by observing the motion of the two objects as they move through the outer solar system. Knowing what we don't know gives us something to budget against. Yet it may be small potatoes compared to the great unknowns we don't know. Even words like 'energy' and 'matter' when referring to the dark stuff are hedges. Exactly what matter/energy properties do they possess? And dark is pretty much a way of saying 'we're in the dark.' I understand the rational for the early universe expanding FTL has to do with space itself expanding. Would we know if that expansion was continuing ... or would we just measure relative motion from the space we're in? I believe you're correct. The term "dark matter" supposes the explanation for anomalous attractions will turn out to be a type of matter. The term "dark energy" supposes the explanation for the accelerating expansion of the universe will turn out to be a type of energy. I suspect both are good bets ... but not sure things. Is inflation ongoing? I don't believe so, at least within the visible universe. Otherwise, we'd have heard reports of galaxies in the far distance/past disappearing. Of course, if the universe was still inflating—or was just inflating at the edges—all of the galaxies further than 13.8 billon ly haven't had time for their energy to reach us. Just because we are getting close to seeing objects at that great distance doesn't mean it stops there. Like you said, so much to discover.